At one stage today, with the rain lashing it down and the steam rising from the tea hut, you could squint and (as I’m sure countless others have done before) imagine that the yellow and blue side being given a football lesson on the pitch was that of yer actual Brazil, rather than former pub team, Garforth Miners. GooooooooooooooooooooooooooooooaaaaaaaaaaaaaaaaaalllllllllllJamesAshmoooooore!!!!! Pre-Match Build Up: I knew I was in for a glamorous showbiz-filled day when the train that pulled into Wakefield station to take us to Leeds sported the name ‘Sir Bobby Robson’ on the side. Having parted ways with with the rest of the travelling party who were unfortunate enough to be watching over-priced second division League football on Beeston Hill instead today, the next football-related surname came when exiting left at Garforth station to pass the Lord Gascoigne pub on the way to the Miners Arms next door. Then on arrival at Garforth’s ground, their social club bears the legend ‘In memory of Barry White’. Whether the soul singing sensation himself had also popped down for a hungry horse special one afternoon, I dunno. But I was priviledged to sup a pint in each of their names, any road. Here’s to you, Barry, Gazza and Bobby..
Destination: Brierlands Lane, Cedar Ridge, Garforth, Leeds, West Yorks, LS25 2PF. Programme: £1.50 (40 pages / 13 of adverts) [very plush looking / glossy pages throughout + lots of colour], free teamsheets also available. Weather: Mostly fine, with a bit of drizzle just before kick-off plus once or twice during the game. you have yer handy local football ground, home to Garforth Town FC and with an adjoining training pitch and (very small) car park. 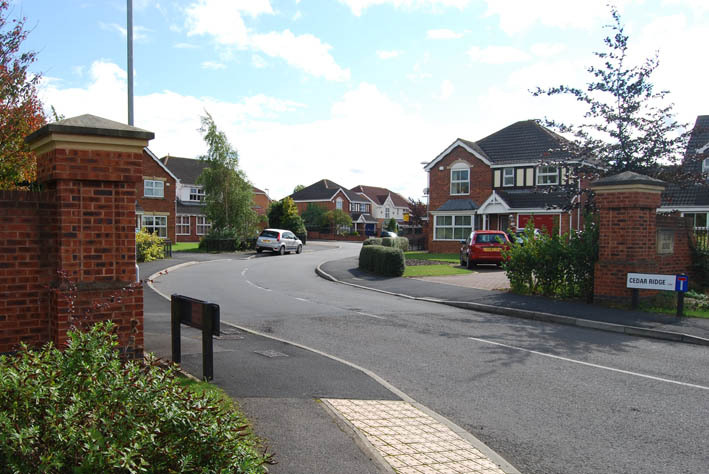 The ground is around three-quarters of a mile from Garforth railway station – turn right when exiting the station onto the main road, and follow this road until you get to a right turn for Cedar Ridge as shown above, just past a mini-roundabout. 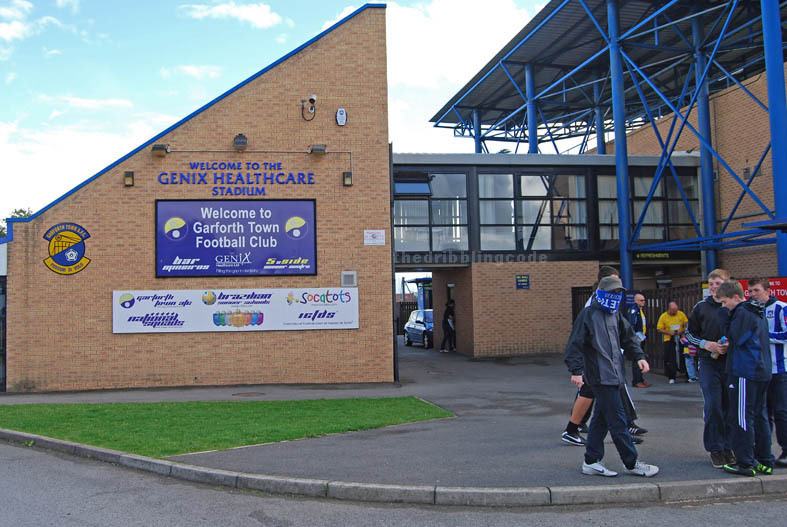 The ground has had several different ‘sub’ names over the years, and is currently known as the Genix Healthcare Stadium. 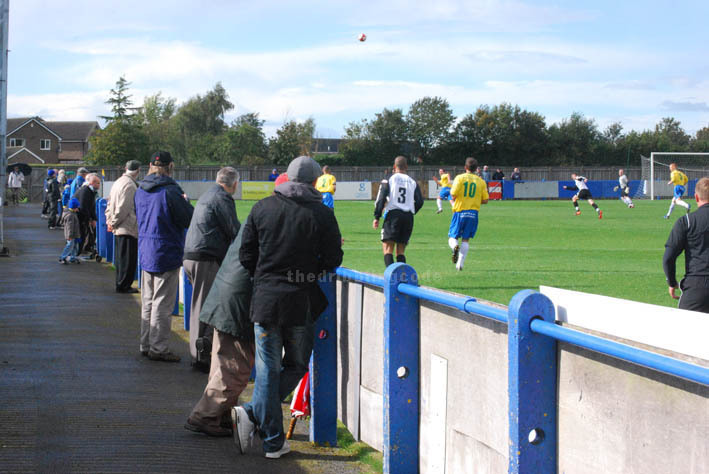 Frickley Risk Inna Area: C’mon lads, it’s not that cold! Off The Pitch: The club itself formed in 1964 as a pub team based at the Miners Arms (which is pictured in the montage above, and is located a couple of minutes walk from the railway station – left turn, just past the Lord Gascoigne – both pubs come recommended). 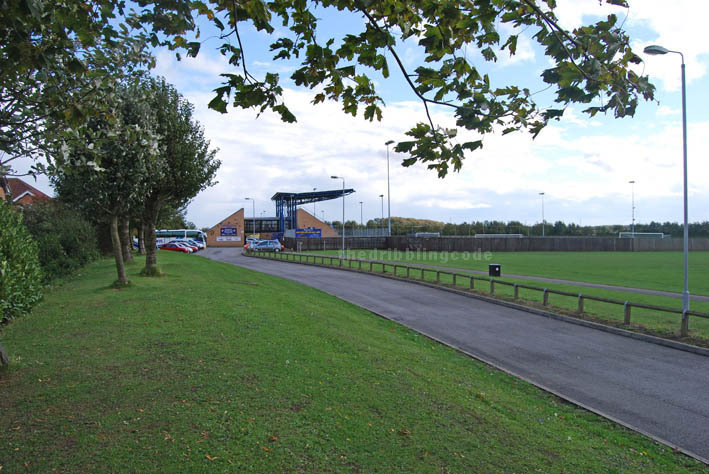 Later on, after switching from Sunday to Saturday League, they changed their name to Garforth Miners FC and bought a vacant plot of land on Brierlands Lane which was a former rubbish tip. 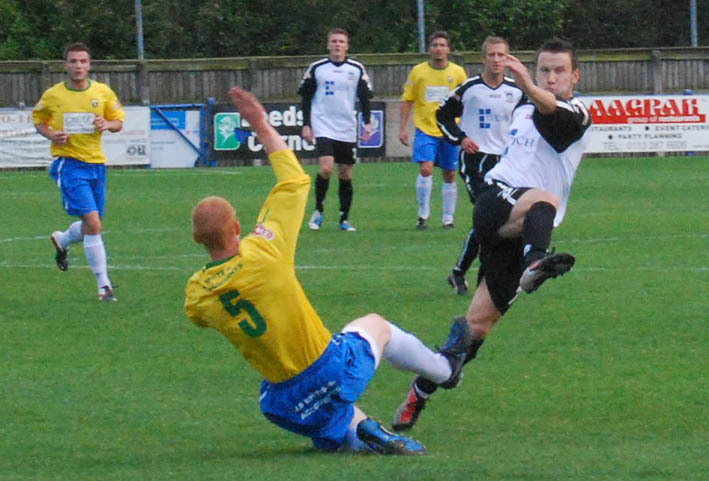 After progressing from the West Yorkshire League to the Yorkshire League, in 1982 the Yorkshire League merged with the Midland to form the Northern Counties East League. 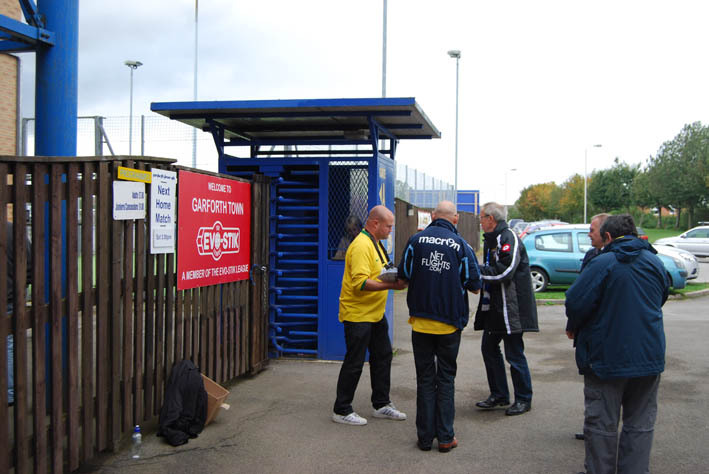 Later in the 1980s the club was renamed to its present Garforth Town monicker, while the 1990s saw them promoted to the NCEL’s Premier Division. 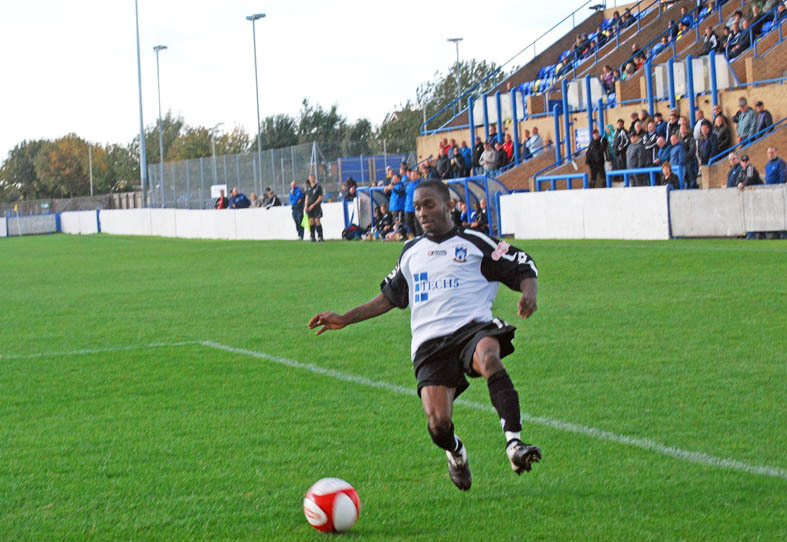 After further success on the pitch (and a stroke of luck when they finished fourth but found this good enough to step up that year), the club was promoted to the Northern Premier League’s regionalised second tier (in its Northern section) where they have resided to date. Along the way, the club was also taken over by local businessman Simon Clifford, who not only paid off their debts but also financed the odd publicity stunt or two, as well as forging a partnership with his own Brazilian Soccer Schools idea. 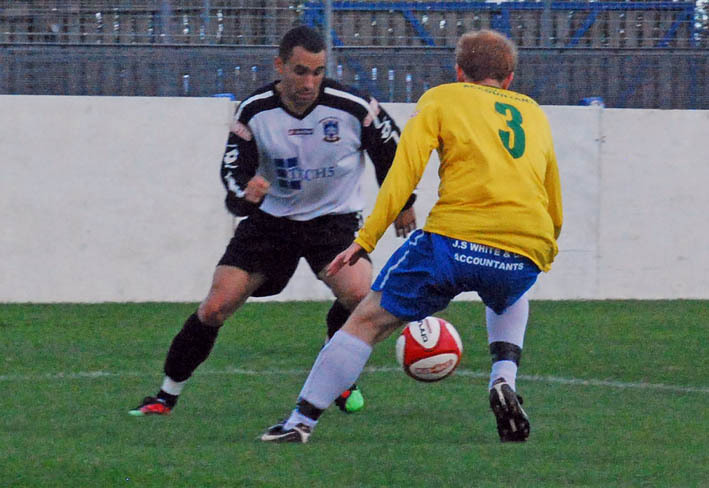 The club’s traditional red and white kit was also changed to mimic the Brazilian yellow and blue in the process. Perhaps the most well-known brush with the media though came when the club brought former Brazilian captain Socretes over to play (part of) one game for the club. 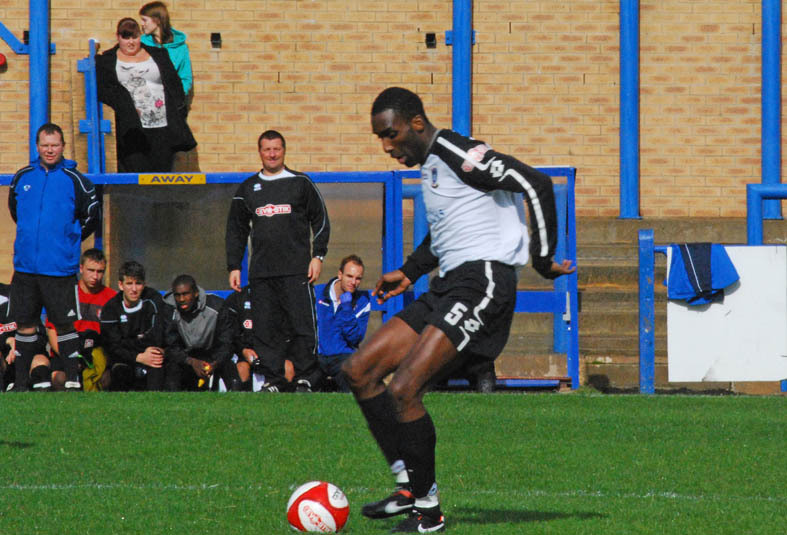 This also saw the club’s record ever attendance of over 1,3000 for this game against Tadcaster Albion in 2004. 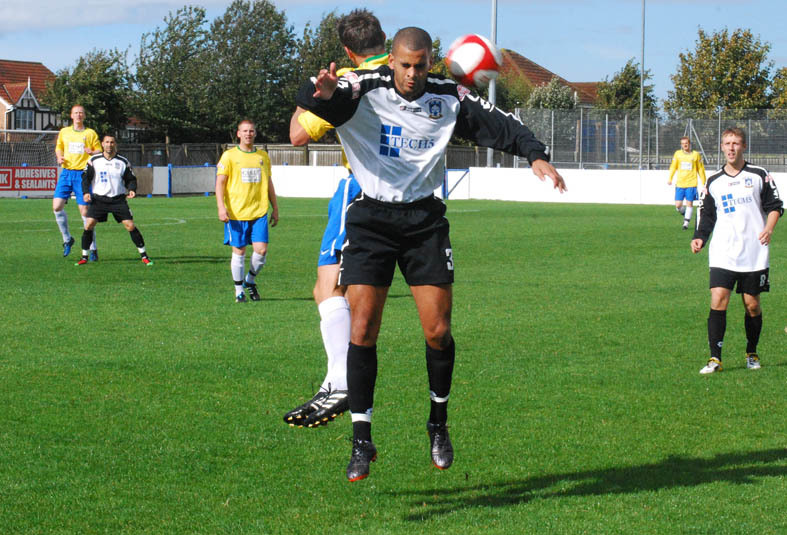 Another Brazilian international, Careca, was also signed up a couple of years later, while legendary 70s right-back ‘hotshot’ Carlos Alberto also found his way to Garforth for training purposes. Having vowed to leave the publicity stunts alone from then on, Clifford couldn’t resist the chance to appoint Paul Gascoigne as manager in 2010. However, Gazza was boss for just a few days before seemingly changing his mind again. The club retains the feel of one which is ambitious and well-equipped though, and seems a good bet for moving up at least to the next rung on the non-league ladder before too long. Just outside the turnstile is the social club, which is a decent size with a good range of drinks available, and its walls adorned with various shirts and the like. 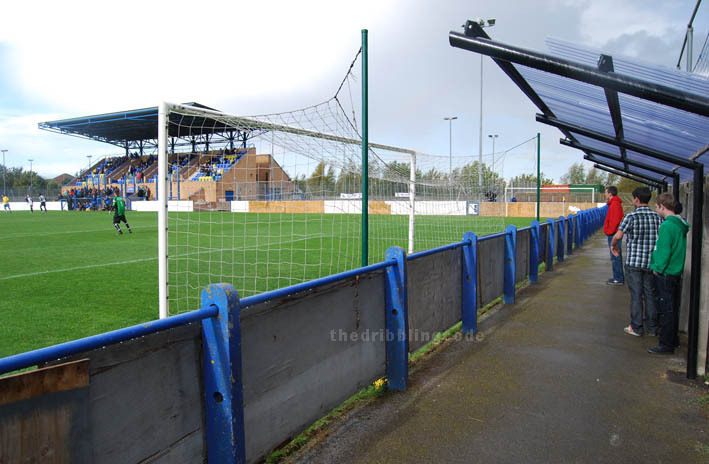 On entering the ground, apart from the four sides of hard-standing and a very small amount of cover behind the far goal, there is basically one large single structure that dominates the landscape. This houses the spectator seating up top, and the changing rooms / officials quarters / toilets / tea bar, etc., below it. 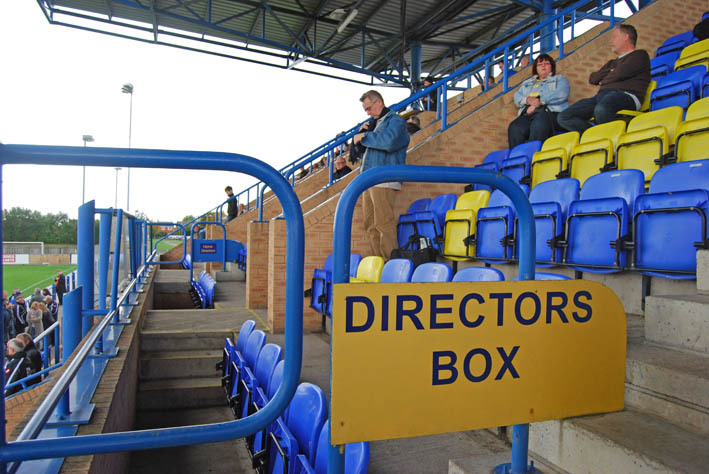 The seated stand is split into four blocks and can accommodate a total of 238 spectators, and looks very impressive from down below. The stand also gives a good, elevated, view of the game. However, it is also what could technically be described as ‘bloody draughty’. 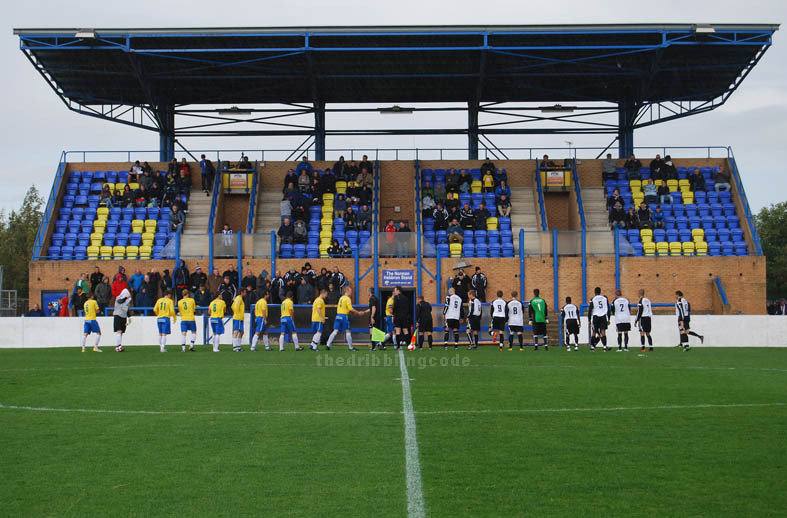 The design is such that the stand has a nice roof, but big gaps at the sides and the back, meaning that the coldest place in east Leeds on any given day is probably Garforth Town’s main stand. So if there’s one thing within the ground that could be improved on at some stage in the future, my suggestion would be to protect the stand’s spectators from the elements a bit more if some ‘filling in bits’ could be arranged without obstructing the view. <insert smug git smilie, and round off with some pictures>. This entry was posted in Garforth Town, Uncategorized. Bookmark the permalink. 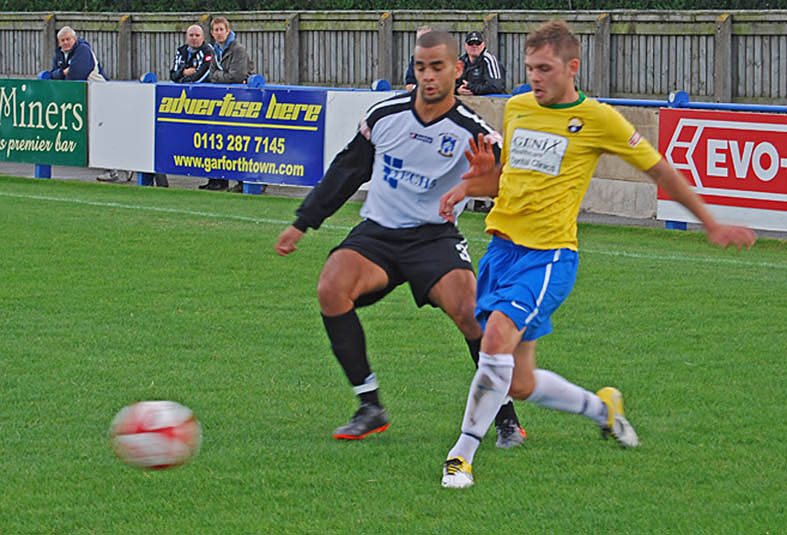 Great blog, just a shame you caught Garforth on their worst performance of the season! 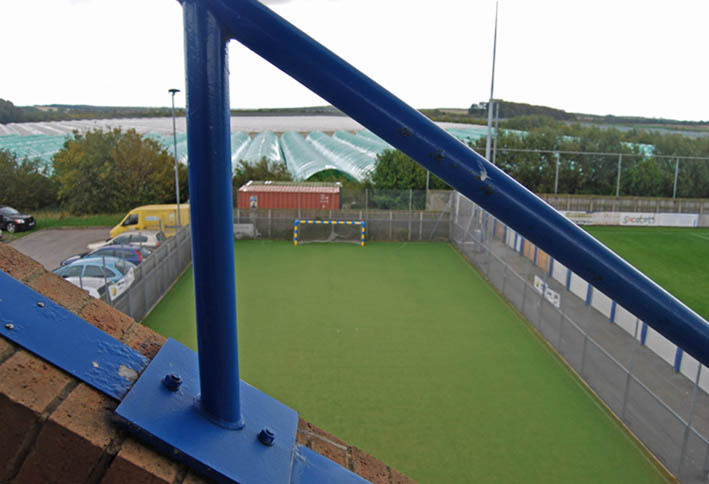 As for the controversial reffing decisions… check out my birds eye view of the game. If you’re ever visiting again, give us a call at the fan site, it would be nice to publicise your blog. By the way, you’re dead right about that stand… can’t wait for the Winter! Thanks Jonathan – I’m guessing you have some thick jumpers and big coats in your wardrobe then! Apart from filling in the back bit – which would presumably help a bit and be relatively easy to do – it would surely be possible to get some kind of perspex-like windows to fill the side triangles in.. unless I’m missing something in my thought process? It’s a cracking stand apart from that aspect. All the best for the rest of the season though, + the way Mr.Bates is handling things down the road, hopefully you may get a few extra bodies through your gates as a result of his complacency.